Maps used on wildwalks are used with permission and come from different sources. Water Colour Maps The beautiful maps used on the home page and general overview pages where designed and developed by the clever map architects at Stamen. The provide a range of mapping services worth checking them out. These maps are rendered using OSM.org data. Online Topographic base maps The detailed maps used on the walk and park pages are created by NSW LPI. The tiles have been kindly released under a creative commons licence and we are hosting a CDN mirror of the tiles to off set the load on on the tile server. Wildwalks Printable Walk Maps These maps have been created by wildwalks using a variety of data. Our own data has been collected for track and poi of interest information. 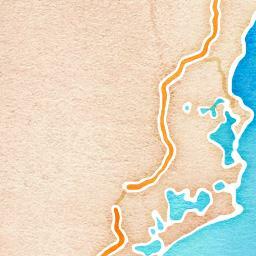 Roads and many other tracks, trails and other data from the amazing OSM.org project. The terrain data is derived from best data from Nasa, Japan space agencies as well as other publicly available DEMS. Contours, hill shading and Most creeks are derived from this same DEM. The vegetation layer has been created by analyzing NASA data using Google Earth Engine. These map images are copyright wildwalks, but if you want to use them in a project give me a yell, happy to see if I can render something useful for you. Maps are generated using the opensource Mapserver engine. The online dynamic GUI maps are created using our own hosted Cartodb server. Both amazing tools.